Ever wanted to learn more about how to use and navigate your Club Member website? These easy steps will help you familiarize yourself with the layout of the website and provide additional tips and tricks to ensure you know how to maximize your online experience. Member Dashboard is seen when you login to your account. The ClubPoints Summary is where you can view and manage your Points. You will see your ClubPoints and Saved ClubPoints for the next two years.  Hilton Honors account information, as well as a link that will direct you to the HGV Hilton Honors webpage, is located in this section. 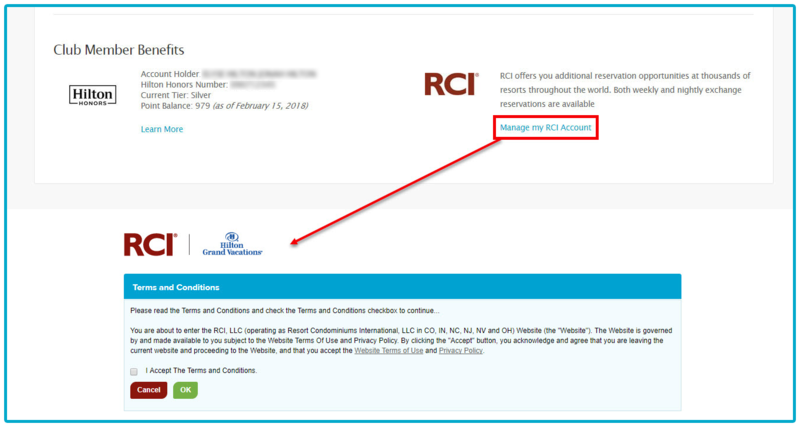 You will also find the link to manage your RCI account via the RCI Exchange Portal. In your Home Week Resort area you will see the location in which you have your Home Week at, along with your unit size, and contract number. The designated check-in day(s) are listed here along with the Points allotted and season for your contract. See your Home Week(s) as well as a Book Now link. 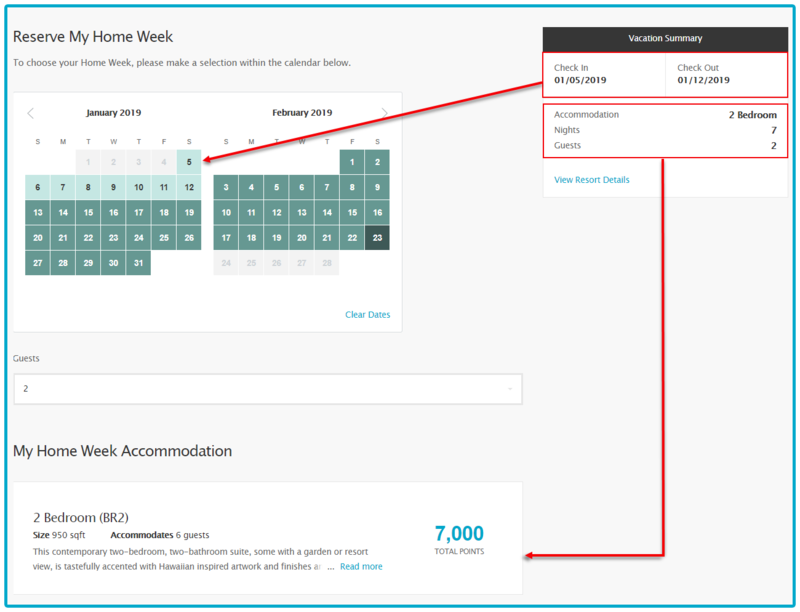 From the Dashboard, click Book Now and you will be taken to the Reserve My Home Week page. You can click to find out information about your loan and your Maintenance Fees & Taxes, also to make a payment. 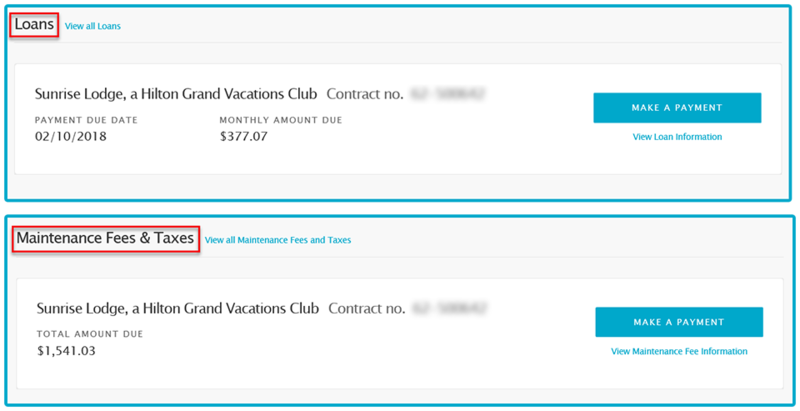 *Maintenance Fees & Taxes only shows when there is a payment due.